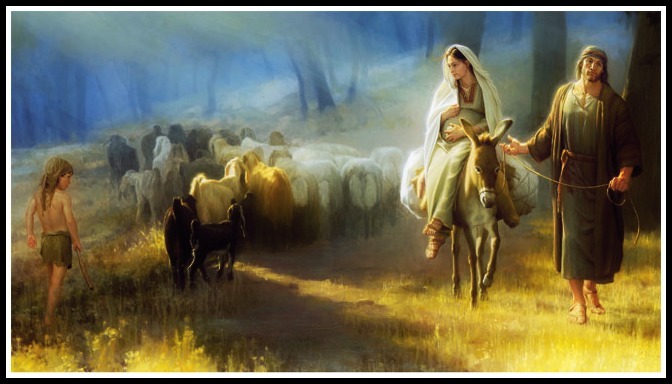 The journey to Bethlehem of Joseph and the very pregnant Mary would have been a long, arduous one filled with challenges and obstacles. But they persevered, knowing they had to reach their destination. They also must have had help along the way. Let us learn from them about perseverance and about how to ask for help as well as allowing others to assist us on our own life journeys. years old, our children sleeping in the back seat. toward Kansas City. We’ve never been anywhere. instead of driving due west. singing songs to keep the children entertained. How could we know what is to come? they could be chunks of ice.